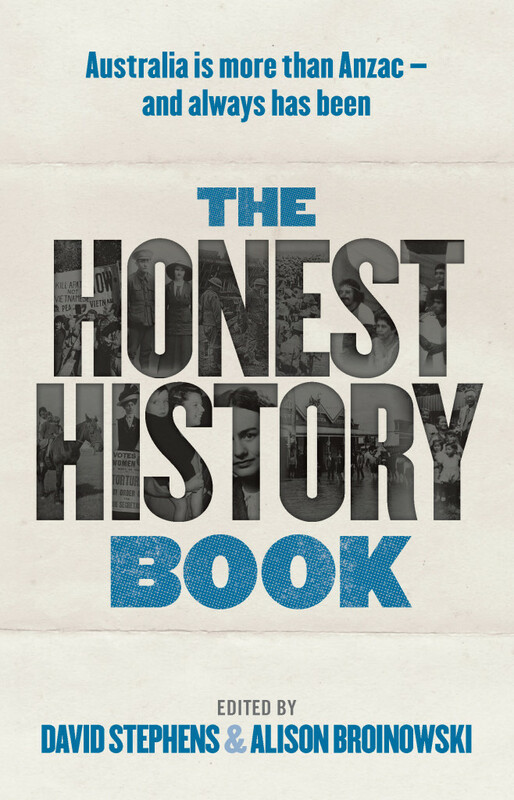 Around 12 months ago, The Honest History Book became available in shops and online. We can report that the book, as of today, has sold 2060 copies, including 1880 hard copies, and is still selling. We reckon this shows there is a market for evidence-based history presenting the argument that Australia is more than Anzac – and always has been. As there should be. It is a challenging, engaging, at times fist pumpingly “you have nailed what is so wrong with Australian politics and history” sort of book. It also has moments when political spines will tingle and moral goose bumps will bump. Some chapters might begin to make you feel uncomfortable about being Australian, whatever that may mean. For anyone wishing to know what “Australian values” once were, are not now, are maybe now, and might be in the future, I would suggest they should read this meticulously researched and brilliantly argued book. The authors and the publisher should be applauded for bringing this book to life and enriching our national conversations further, above and beyond tired sound bites from an Empire-centric yesteryear. Suggested readership? Everyone. To not read this book would quite simply be “Un-Australian”.